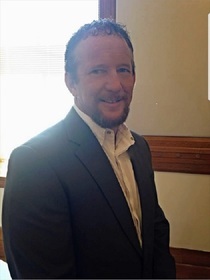 Obituary for Eric Wayne Redd | Crandall Funeral Home Inc.
Eric Wayne Redd, 49, passed away on February 4, 2019 at his home. He was born on July 5, 1969 in Delta, Utah to Dean Francis and Karen Annette (Hendrickson) Redd. Eric married Suzanne Young on Aug. 23, 2007. Their marriage was later solemnized in the Salt Lake L.D.S. Temple on Oct. 6, 2009. He served his country in the United States Air Force for 22 years. He worked for the Summit County Sheriff Department for 16 years and had served the public in law enforcement for 24 years. Eric loved spending time with his family, fishing with his kids and boating at Lake Powell. He enjoyed genealogy work, reading history and listening to loud music in the morning. He will be dearly missed by his loving wife Suzanne, and his children, Justin Dean (Emily) Redd; Eric Riley Redd; Kambrie Redd; and Cyler Joseph Redd. His grandson Rylan Jace Redd; his mother Karen Redd; his brother: Randy Dean (Marylynn) Redd; Sisters: Dusty (Cameron) Clegg; Susan Lin; Kathy (Coleman) Nay; Amber (Matt) Sim; and Debbie (Brian Allen) Redd Berrett. He is preceded in death by a son, Jason Chase “JC” Redd; a brother, Lee Redd; a niece, Burgandi Butler and his father Dean F. Redd. Funeral service will be held on Saturday, February 9, 2019 at 11:00 a.m. in the Kamas L.D.S. Stake Center, 3038 North SR 32 in Marion, UT. Viewing will be on Friday evening from 6 to 8 p.m. and on Saturday from 9:30 a.m. to 10:45 a.m. prior to the service. Interment with military and Sheriff Department honors will follow in the Marion Cemetery.